The Irish Princess, a novel of historical fiction, is the story of Elizabeth “Gera” Fitzgerald, an Irish noblewoman immortalized as the “Fair Geraldine” by 16th-century English poet, Henry Howard, Earl of Surrey. The story opens as Gera’s idyllic childhood ends with Henry VIII’s summons of her father, the 9th Earl of Kildare, to London. The earl is imprisoned in the Tower of London where he later dies. His heir, Gera’s half-brother Thomas, and five of his brothers are arrested and executed as traitors to the crown. Even though Gera is only ten, her “pilgrimage of rage” against the “terrible Tudor” begins with these life-transforming events. She is taken to England where her English-born mother has found sanctuary and where Gera soon finds herself a Lady-in-waiting to Kathryn Howard, fifth wife of Henry VIII. Gera’s desire for revenge grows as she sees at first hand the intrigues and brutalities of the Tudor court. Despite her hatred of the king, she develops a sympathy for his daughters Mary and Elizabeth and proves a good friend to both. A marriage to the much older courtier Sir Anthony Browne places her in the king’s most intimate circle, a position that allows her to achieve her goal in a most unexpected way. After Browne’s death, she marries Lord High Admiral Edward Clinton, a man to whom she had long been attracted, but even marriage to the love of her life does not end her adventures. She saves a queen’s life, faces exile from London, and captures a privateer before she finds a measure of peace and happiness with her beloved Clinton and sees the reinstatement of her family in Ireland. Author Karen Harper says that her interest as a writer is in “the power of people’s relationships . . . the myriad complications of family ties, the bonds between friends, and the many ramifications of romantic love.” She gives her reader all of these in The Irish Princess. With a heroine whose spirit is as fiery as her hair, the novel should appeal to readers who like their fiction with a strong-willed heroine who dares much for the people and the nation she loves. Fans of Showtime’s The Tudors should enjoy a new angle on many of the characters they encountered in the series. The book should also appeal to lovers of historical romance. Although TIP is historical fiction, it has a strong romantic element in Gera’s and Clinton’s relationship. It even offers an HEA that is in the best tradition of historical romance. And Harper compares Edward Clinton to the heroes played by Russell Crowe and Johnny Depp! If you’re looking for something Irish to read as St. Patrick’s Day draws near, I highly recommend The Irish Princess. 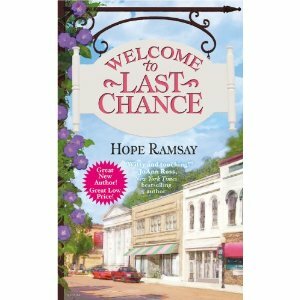 Hope Ramsay’s debut novel is yet another addition to what has become a new subgenre in romance fiction, the small-town contemporary. This time the small town is Last Chance, South Carolina. Wanda Jane Coblentz, known as Mary Smith for the past seven years, arrives on the 9:30 Greyhound from Atlanta with the consequences of too many bad choices behind her, $5 in her wallet, and a head filled with the moralizing messages from the tapes of a New Age self-help guru. Her first stop is a honky-tonk where a five-piece country band is playing a Garth Brooks song. She takes one look at the fiddler and knows he’s bad news, the kind of guy she most needs to avoid. They will both learn that appearances are deceiving. Clay, the fiddler, is a good guy with a savior complex, and Jane is a vulnerable soul with a wide and fierce streak of independence. They both have long histories as losers, they’re both desperate for new starts, and they both must learn to have faith in themselves, in each other, and in something larger than themselves. This was a book that I really wanted to be a five-star read. I really liked the core story. Jane and Clay are not standard romance fare. They are needier and less polished than the usual H/H, and I found them engaging and endearing. Last Chance is a quirky town with some intriguing characters. At least a couple of them, a brooding baseball player and a widowed, hard-nosed police chief, are clearly heroes awaiting their own stories, although absent brother Tulane appears to be the hero of the second book. But I found myself confused at times: the story seemed a strange mix of Flannery O’Connor symbolism and tongue-in-cheek, not-always-kind parody of small Southern towns. Miz Ruby’s Cut ‘n Curl impressed me as a Blue Light Special version of Truvy’s beauty parlor in Robert Harling’s Steel Magnolias, and the names of the Rhodes siblings (Stony, Clay, Tulane, and sister Rocky) just took it over the top. I liked the characters enough to look for Book 2, but I’m hoping for more substance and less cleverness. THE IRISH PRINCESS looks amazing. I know I will enjoy. WELCOME TO LAST CHANCE has crossed my path several times today. That's always good. Thanks for the great reviews, Janga. Both books seem interesting. Thanks for more terrific reviews, Janga. I'll definitely be checking out THE IRISH PRINCESS. WELCOME TO LAST CHANCE sounds like the start of a series I could enjoy but I understand what you're saying about "over the top." I've read other books like that that really got on my nerves. I hope the second book in the series is more promising! These both sound like good reads. The cover of THE IRISH PRINCESS is gorgeous! Thanks for the great reviews, Janga! Thanks, all. Isn't the cover of The Irish Princess an eye-popper? It really is a terrific read. I love reading historical fiction that fleshes out the stories of women whose stories are mere outlines in history. PJ, I have hopes that the second of Ramsay's books will fulfill the potential of the series too. I really did like her H/H. I kept seeing Trace Adkins as the hero. I kept seeing Trace Adkins as the hero. 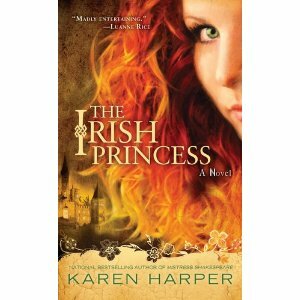 I have seen many reviews of THE IRISH PRINCESS and it is high on my Wish List. Just my kind of story. I occasionally hit the contemporary fiction, but not that often. I have noticed the trend toward stories set in small towns around the country, the South in particular.